A stone building on the south side of Palmerston Street (which was once called Great High Street back in 1841) just to the right of the entrance to Tullis Russell’s paper mill at Lower mills. At one time it was occupied by a bank so one might have thought that was the origin of the name. Known as Bankfield House in 1941. But it is clear that it had the name long before, while it was a private residence. It is located on the bank above Pool Bank! It was home to the local branch of the National Westminster / NatWest Bank during at least the 1960s and much of the 1970s, before they moved to new premises at Ashbrook Road (now occupied by Bollington Vets). Bank House once called Bankfield house in 1841, is today used as offices by local businesses. 1841 census: John Oldham a farmer aged Forty Five, his wife Mary aged forty and their five children aged from five to twenty years, the youngest being twins. 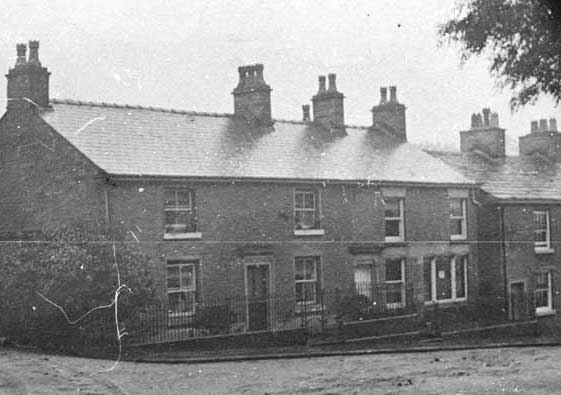 The house was occupied as a private residence for some of the time between 1902 and 1911 by Edward Saylor Stone, born 1875, manager of Ingersley Clough mill. He lived with his wife Eva born 1881 in London and their three children all Bollington born and their maid Lucy Blower from Staffordshire. Before that Edward lived with the Challinor family in Henshall Road, as a boarder with his brother Thomas. Edward was a calico finisher then, as was his brother. Both were originally from Manchester. In 1926 Joseph Michael Blackett lived in Bank House he was born in 1866 in Salford . He had previously been living at 41, Shrigley Road on the 1911 census with wife Annie, their two children and his brother.